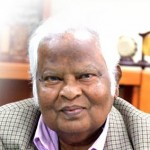 Justice M. Ilancheliyan is one of the greatest judges to be produced in Sri Lanka for the last many decades. He is still a High Court Judge, but he deserves to be raised to the Supreme Court. If that were to happen, he would be a great asset not only to the Supreme Court, but also assist in the efforts dreamt of by a few, for a radical transformation of the rather bleak situation of law and order in Sri Lanka. The recent incident which resulted in the death of his most trusted and faithful guardian Sub-Inspector Sarath Premachandra should be a sad day for the entire country. The manner in which Judge Ilancheliyan reacted to the incident is most appropriate and telling. He knelt at the feet of the wife of his fallen guardian and virtually worshiped her in the most humble manner. He cried at the tragedy. Television channels showed for the first time, a weeping judge. It was the great Indian judge, Justice V. R. Krishna Iyer who said “a judge, who cannot weep, is not fit to be a judge”. What was appalling is the manner in which the incident of the shooting was treated by the police spokesman in the most casual manner. In a very short time after the incident, he dared to declare that it was just an act of some drunken persons and thus tried to dismiss the significance of the shooting. No thorough inquiry has yet been conducted and one of the suspects has managed to escape unharmed but the declaration trivialising the incident has already been made. The said police statements are aimed at confusing the public and to mislead the investigations. As the shooting had taken place just a few days after a DIG was arrested for harbouring a criminal, an attempt at a deliberate cover up cannot be ruled out. The incident must be inquired into by a special unit of inquiry of the Criminal Investigations Department. It should not be left in the hands of the local police. It was completely inappropriate for the police spokesman to make such declarations so early, without there being a thorough criminal inquiry by a competent and an impartial group of investigators. The incident deserves a thorough-most inquiry by the best investigators, we have. The entire incident unfolded, almost like a Kafkaesque episode. The sheer absurdity into which the entirety of the justice process has fallen is being symbolised by this incident. The casualness with which it is treated is also a part of the tragic drama that the Sri Lankan people have experienced over a long period of time. 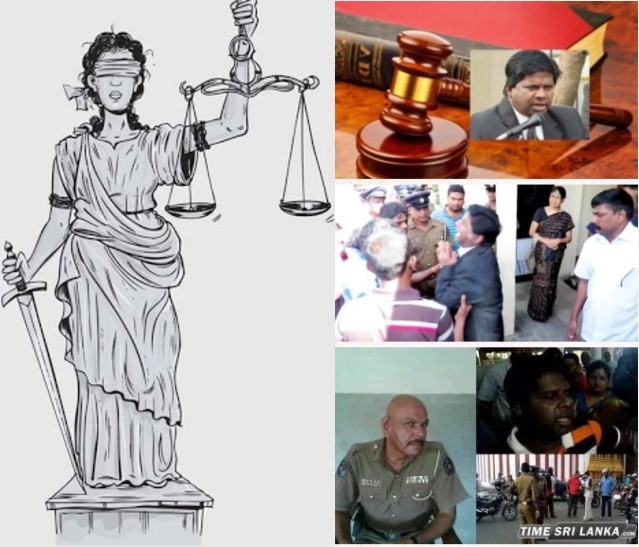 The loud cry of Justice M. Ilanchelian is a cry not only for a fallen hero, but a cry regarding the extreme crisis (a crisis is rather a lame word to be used) of what the entire system of justice is faced with, in Sri Lanka. It is a cry, calling for change. It is a cry reflecting the despair of a people. That the fallen Sub-Inspector Sarath Premachandra had stood by his judge for over 15 years faithfully and loyally is a heartening example, demonstrating that there are still great people, who can transcend racial barriers and work as comrades in arms to serve their people.